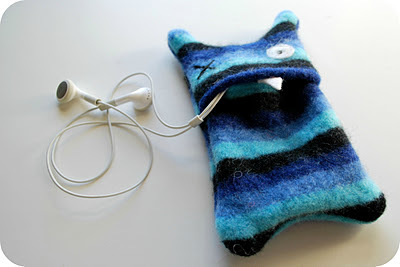 A dozen stripey iPod monster cozies are in my shop. Yep, right now. I think they might be having a party, in fact. That's what happens when you leave them alone together--mischief, kool-aid keg stands, hysterical giggling, finger biting--oh, and gobbling up iPods (iPhones, iPods--they aren't picky--although the littlest one does have a taste for the Nano). 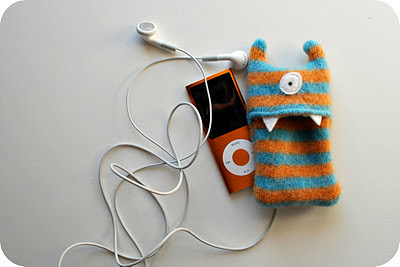 Actually, iPod gobbling is sort of their job (when not moonlighting as models for Kathreen's Crafternoon book series). If asked, they would probably tell you they were made of burrs, dirt and moldy fur--but really, it's just recycled wool sweaters that have been felted. Go have a look at them if you must. You can find them all here. These are adorable. I wish my boys were just slightly older because this would make the perfect Christmas gift. Hmmmm, who else could I give one to? oh my, how cute they all are in a pile. 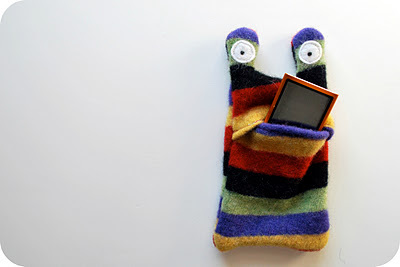 I just cut out the pattern for these from my Microcrafts book for my nephew. 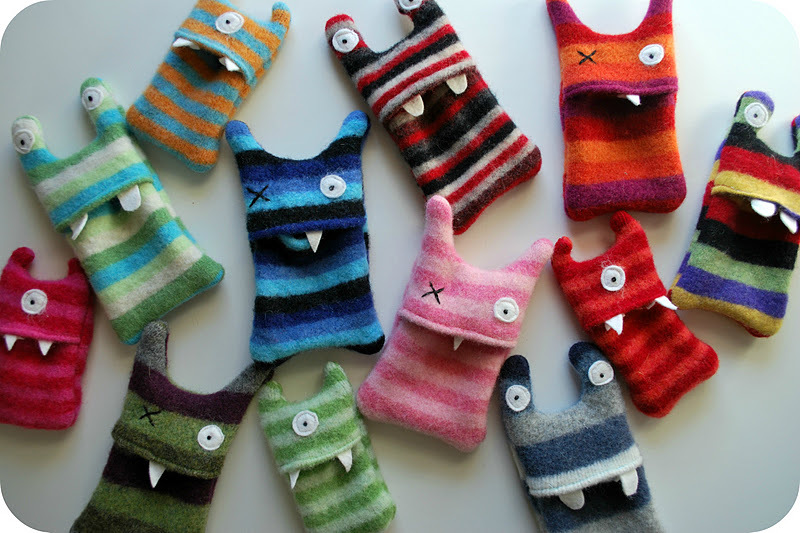 I don't have nearly as cute felted sweaters though -- no stripes. I love yours.